Nestled in the foothills of Utah's gorgeous Wasatch Mountains, the Zermatt Utah is a AAA Four Diamond adventure resort and spa that boasts elegant accommodations and amenities and easy access to Park City's world-class ski areas. The resort also has a 65,000-square-foot conference center and exhibition space, making it a popular destination for conventions and business retreats. Whether it's business or pleasure that brings ski enthusiasts to Zermatt Utah, they're in for an enjoyable, adventurous stay. Zermatt Utah is located approximately 50 miles east of Salt Lake City, in the small town of Midway. The Salt Lake City International Airport serves the Midway area, with a number of major airlines offering regular domestic and international flights to and from Salt Lake. Once they've landed in Salt Lake City, travelers can rent a car at the airport and drive east on I-80 and US-189/US-40 for about an hour to reach the resort. 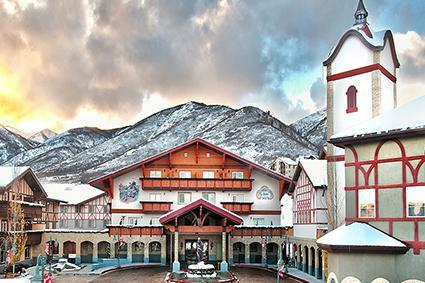 Boasting a Swiss chalet architectural style, Zermatt Utah is an impressive resort hotel that features more than 400 guest rooms, suites, and villas all tastefully outfitted in rich, European-style decor. Standard guest rooms feature one king or two queen beds, a writing desk, and spa robes. Junior suites also offer a mini-fridge and microwave, while deluxe suites offer additional amenities such as a fireplace and sofa sleeper. The lavishly appointed penthouse suite has an in-room jetted tub. For guests desiring complete privacy and an array of just-like-home amenities, Zermatt Utah offers one- and two-bedroom villas. These premier accommodations include inviting living rooms, full kitchens, cozy fireplaces, jetted tubs, and walk-out patios. 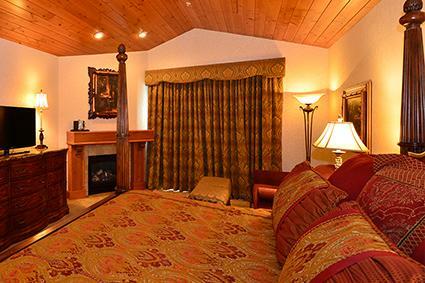 Room rates at Zermatt Utah start at $129 per night, a significant savings compared to Park City resort hotels. Zermatt Utah offers the kinds of amenities one would expect from a four-star resort hotel, including an on-site spa, multiple restaurant options, sparkling swimming pools, and a state-of-the-art fitness center. The Spa at Zermatt pampers guests with a full range of relaxing and rejuvenating treatments that includes massage, facials, waxing, and manicures and pedicures. 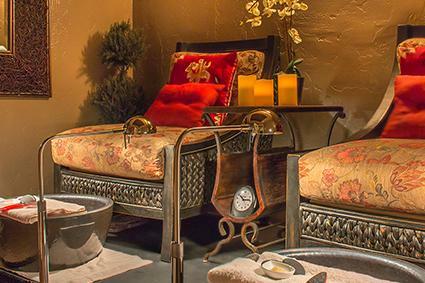 The spa also offers four luxurious signature services, such as the moisture balm body wrap, which combines gentle skin exfoliation with a soothing scalp massage and a peppermint and eucalyptus whipped lotion body treatment to create a truly invigorating experience. Zermatt Utah has two on-site restaurants and a bakery. Z's Steak & Chop Haus is a European-style steakhouse that serves elegant aged steak and seafood dishes, as well as signature items like Z's bone-in ribeye and decadent creme brulee. The steakhouse received high praise from TripAdvisor reviewers, who raved about the great food and pleasant service. The Wildfire Smokehaus is a casual restaurant that offers tasty and reasonably priced smokehouse meat platters, signature sandwiches, wood-fired pizzas, and homemade pies. Some TripAdvisor reviewers had great things to say about the restaurant's barbecue, but others complained about rushed or inattentive service. The Bakery at Zermatt, also known as Bäckerei and Eis, is an authentic European bakery that serves a wide variety of delicious pastries, as well as full handmade biscuit breakfasts, espresso, hot Panini sandwiches, and soups. 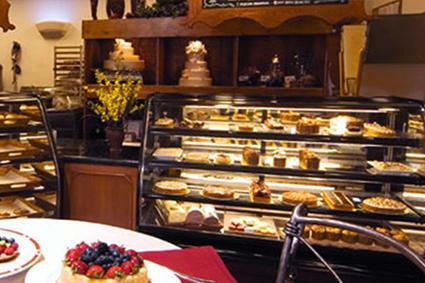 Guests can also indulge in signature items, such as fruit tarts, Choux pastries, and house-made gelatos, all in a European-style atmosphere with tea room seating. Bäckerei and Eis' was a hit with reviewers, who give it an average of 4.5 out of five stars and praised the bakery's fresh pastries and homemade gelato. The Fitness Center at Zermatt Resort features a large selection of cardio and universal weight equipment as well as private or coed steam and dry sauna rooms. Guests can also enjoy the fitness center's European "ruheraum" meditation room or take part in weekly yoga classes. Zermatt Utah has indoor and outdoor swimming pools with a unique swim-through feature, and indoor/outdoor pool decks that are perfect for lounging. The indoor swimming pool also boasts a sky mosaic ceiling that changes color in the evening. The pool areas, as well as multiple hot tubs, are located between the main hotel building and private villas. Though Zermatt Utah is not situated amongst the slopes, Midway is a short 30-minute drive to Park City, where winter sports enthusiasts can access first-rate slopes at two award-winning ski resorts. Deer Valley Resort is a top choice for Zermatt Utah guests since its Mayflower lift is just 15 minutes from the hotel. Deer Valley boasts 2,026 skiable acres and more than 100 runs served by 21 lifts with an uphill lift capacity of 50,470 skiers per hour. The Deer Valley Resort Ski School offers private or group skiing and snowboarding lessons for children and adults of all abilities. The school also offers specialty clinics. 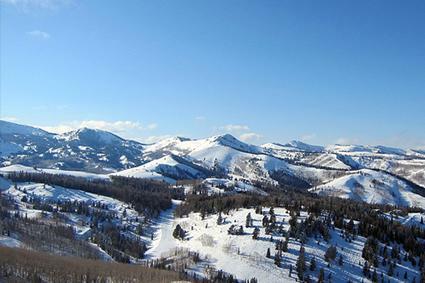 Park City Mountain Resort is another top-rated ski resort in the area. The resort features 7,300 skiable acres, which includes more than 300 trails and seven terrain parks, and is served by 38 lifts. Enthusiasts can receive expert instruction at the Park City Ski and Snowboard School. Private and group lessons are available for children and adults. Zermatt Utah provides a free shuttle service to and from the Park City ski areas. Midway also has its own ski resort, Soldier Hollow, that caters to cross-country skiers and snowshoers. The resort's full-service Rossignol Demo Center offers equipment rentals and includes a ski school. Zermatt Utah is located just across the street from Wasatch Mountain State Park. The park features alpine terrain that's great for skiing, snowshoeing, and snowmobiling. It is also known for the Homestead Crater, which is filled with 96-degree geothermal-heated mineral water. Park City's Utah Olympic Park is an active Olympic training site that's open to the public. The park includes activities such as adventure courses and alpine slide rides. Parkgoers can also zipline or learn to bobsled. The Zermatt Utah resort may not have the name recognition of Park City's ski resort hotels, but it features practically all the ski resort amenities guests could want -- but without the crowds and expensive lodging costs. Guests can enjoy a small-town vacation experience that offers easy access to major area attractions.